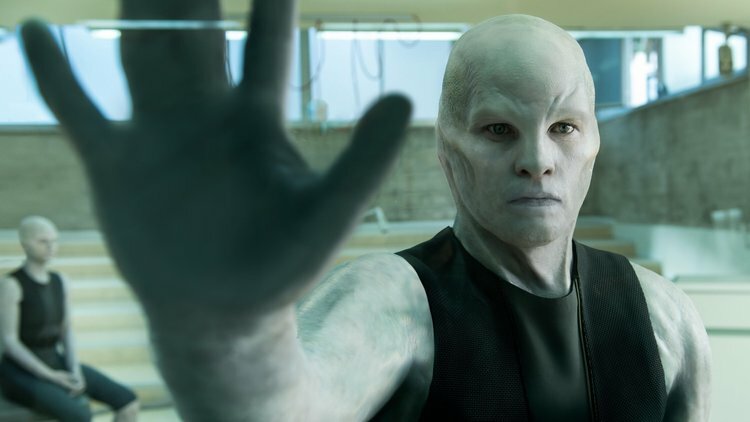 As a part of both the Terminator and Avatar franchises, Aussie actor Sam Worthington has already made his mark on the sci-fi genre even if everything else he's done has been forgettable. Speaking of forgettable, or at least potentially so, Worthington stars in Netflix's new sci-fi movie The Titan, which looks like it's cribbing from a bunch of different movies. At least it has a solid cast, though. A familiar plot finds Earth needing to be abandoned after a nuclear disaster, only rather than sending humanity to a far off planet the choice is made to move to Saturn's moon of Titan. But first a group of cadets must undergo a radical evolutionary change in hopes that they can survive Saturn's harsh atmosphere. Surely there was a better option then? Of course, the process goes wild and Worthington transforms into something from a John Carpenter movie. The film co-stars Taylor Schilling from Orange is the New Black, Tom Wilkinson, and Nathalie Emmanuel from Game of Thrones and The Fate of the Furious, although none of them appear to have much going on. Lennart Ruff directs from a script by Max Hurwitz (Hell on Wheels). The Titan hits Netflix on March 30th.